The International Diploma in Remote and Wilderness Medicine is a must for any healthcare professional seeking to spend time in the wilderness or rescue medical world, participate in expeditions, respond to disasters, or provide care in the remote settings around the world. This program is on par with the best programs in the world. The course draws from the original work done to establish several of the most famous of the first wilderness and SAR medical units in the western United States, drawing on those experiences and the growing body of research in this area from around the world. The course text is Auerbach's Wilderness Medicine 7th Edition, with additional original materials from the course instructors and local experts. The course combines, online, classroom, field, and remote area development with a combination of skills and learning done of the course of this 18-month long program of study. The course is divided into six sections, each with online learning, online class meetings, then a one to two week session in a specific area of the United States or other area of the world. The sixth section of the program also includes a remote area deployment to provide medical care in an isolated area of the world. 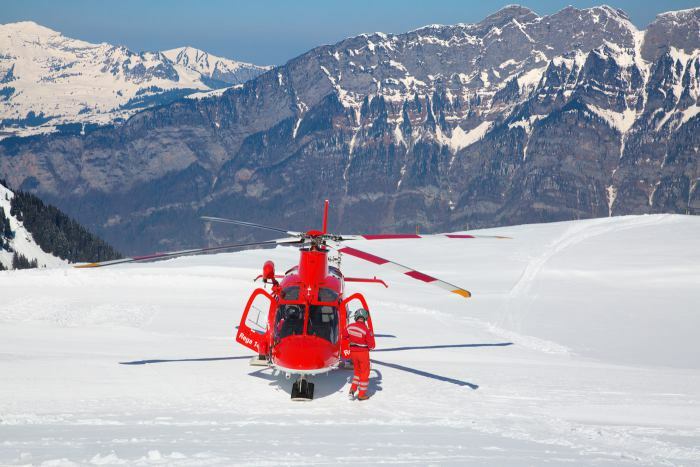 Topics include: travel medicine, global health, infectious disease, mountain medicine, aquatic medicine, remote care, medical problems in remote areas, preparation for the wilderness environment, rescue communications, rescue organizational strategies, rescue system development, helicopter capabilities and limitations, helicopter rescue techniques, high angle rescue physics, heat and solar radiation, SAR statistics, SAR management, and equipment considerations for various environments on the planet. Topics include: climbing knots, belaying practices, basic rock climbing, rappelling, lowering, ascending, rock anchors, double rope techniques, mid-wall techniques, mechanical advantage systems, litter based rescue and movement, bivouac techniques, risk management in exposed terrain, short roping/short pitching, medical considerations in the high angle environment, medical considerations in the moving water environment, safety in canyons, basic canyoneering, risk management in canyon environments, swift water rescue, swimming in moving water environments, hazards in moving water, equipment consideration in canyons and moving water, survival swimming in moving water, patient packaging for the canyon environment, field patient care and rescue scenarios. Topics include: hypothermia, cold injuries, heat and solar radiation, hyperthermia, nutrition, pre-existing medical conditions in cold environments, avalanche hazard assessment and mitigation, weather, cold weather patient assessment, cold weather patient packaging, transporting patients in cold weather environments, cold environment patient care considerations, trauma in the cold, snow navigation, patient care and rescue scenarios in the field, winter camping experience and patient sheltering practicum. Topics include: navigation, expedition food planning, mountaineering gear review, climbing knots, snow travel considerations, personal safety systems, belay practices, crampons and ice axe use, self-arrest, snow anchors, ice anchors, raising/lowering systems, roped team travel, glacial camping, crevasse rescue, avalanche awareness/rescue, glacier navigation, basic ice climbing, altitude considerations, improvised rescue techniques, short roping/short pitching, snow shelters, advanced alpine rescue techniques, patient care scenarios in the field, medical care discussions, and alpine climb attempt. Topics include: ocean navigation, food planning, gear review, basic large water mass and ocean travel, personal safety systems, reading and interpreting weather mapping, weather prediction, marine rescue techniques, dangerous aquatic conditions, dangerous aquatic animals, identifying a subject in distress, paddle skills for boards and kayaks, basic sail skills, open water swimming skills, snorkel and surface diving skills, surf hazard mitigation, movement in surf, open water survival, maritime vessel emergency skills, simulated patient care and rescue cases in the field. Topics include: medical planning, medical equipment planning, limited use environments, limited supply systems, austere environment care, diagnostics in the remote environment, patient care priorities, basic public health considerations, sanitation basics, water system basics, and care protocols. This session will include active patient care on the part of the participants in a remote environment. Due to the demanding physical nature of the field sessions, some basic prerequisites are required to ensure a safe learning environment for all participants. 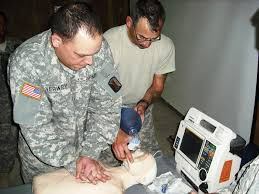 Healthcare personnel enrolling in this program of study must have basic training (or the ability to learn quickly) with basic backcountry hiking skills, beginner level rock climbing skills, basic snow travel skills, basic self-contained camping skills, and basic swimming skills. Participants must have a valid passport for participation in the program. Due to the intense nature of this program and time commitment, a minimum of 12 students are required for the program to be run. Students must provide their own travel, supply their own personal equipment for the program, and complete necessary waivers and medical forms. Space is limited for the life changing program, register earlier. Every one of our graduates exits the program having learned advanced skills, performed advanced skills, and managed critically ill patients within immersive simulation; few programs can attest to the student experiencing the range experiences and skills you will gain here. All Textbooks are provided for this program of study.